« Do You Need Outdoor Security Lighting? Why Install a Central Vacuum System? Would you benefit from a central vacuum system? 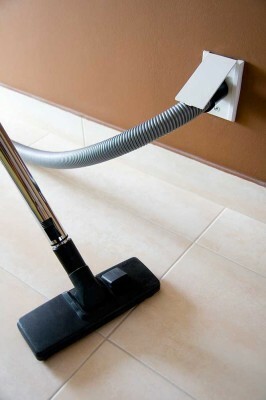 The right central vacuum completely overhauls how you look at cleaning your home. Lugging around that heavy portable vacuum from floor to floor can be a real pain, plus all of the accessories and attachments make it a headache. Keeping your home tidy just shouldn’t be that difficult! Instead, try considering the benefits of installing a central vacuum system in your home. Portable vacuums can be really loud. This prevents you from getting valuable cleaning done when someone is sleeping or if you have pets who are afraid of the noise. In contrast, central vacuums are typically pretty quiet due to the motor being located in the garage of basement. This allows you to get your necessary cleaning done without having to worry about bothering anyone or being hindered. Portable vacuums these days seem to get more and more complicated every year. Each new design brings about more useless features and all of that confusion leads some families to slack on their cleaning. Central vacuums allow for chores to get done with ease. You won’t have to worry about hauling that bulky vacuum around any longer, meaning you can focus on getting the job done quick. Central vacuum systems cut down on a lot of the problems traditional vacuums have, including the need for easy-to-tangle power cords or needing to be emptied as frequently. You also won’t have to replace the unit itself or deal with the weight. They’re easy to use, cut down on the time spent cleaning, and are a great investment for any homeowner! This entry was posted on Friday, October 20th, 2017	at 6:59 pm	and is filed under Central Vacuum	. You can follow any responses to this entry through the RSS 2.0	feed. Both comments and pings are currently closed.